Would you let a bunch of television viewers plan your wedding in a week if it was an all-expenses-paid wedding worth $35,000? Every January engaged couples in and around the Baltimore area vie for the opportunity to sign away the rights to their nuptials in exchange for an all-expenses paid wedding worth $35,000. This is Fox45 TV’s Wedding in a Week contest in Baltimore, a month-long promotion and contest which takes place on the Fox45 Morning News, with the wedding package provided by the Baltimore Bridal and Wedding Expo and The Wedding Wire. 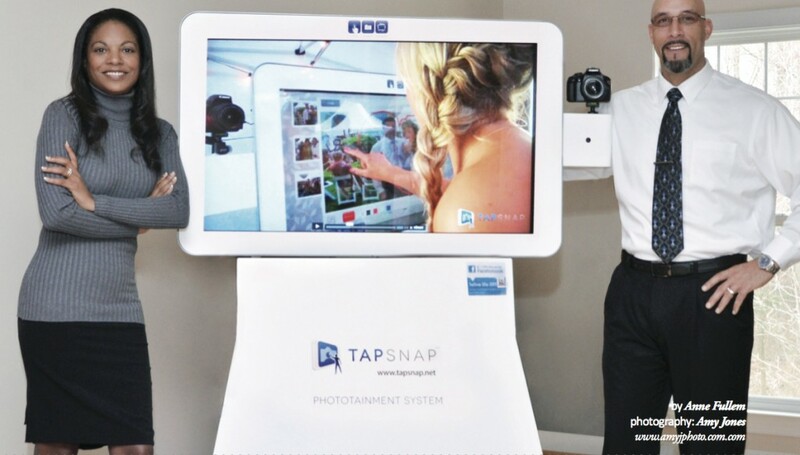 This year’s package will include TapSnap Phototainment, provided by TapSnap franchisee Eric Metz (TapSnap 1020). In January, couples start putting their name in, and then fun begins in earnest. Four couples are selected as finalists, and viewers choose one lucky couple as the winner. Then the viewers make all the important decisions: what wedding dress the bride will wear, what kind of ceremony and reception they’ll have, what catering menu the guests will enjoy, and even where the honeymoon will take place. The entire wedding takes place in a week, and major events are televised on the Fox45 Morning News, ending with the wedding taking place live on TV. Eric thinks it will be great publicity for TapSnap. “Fox 45 reaches a lot of regions around Baltimore from Delaware to Virginia, so any exposure we get will be good not just for me, but other TapSnap franchisees. People around here love this contest,” says Eric.